Microsoft continued to boost its security options as well as adding new Lab Services, SQL Database, IoT and networking options in the aftermath of the Hannover Messe 2019 conference. The Azure team deployed widely requested updates to Azure Lab Services. The changes included GPU sizing for existing SKUs, connections between VMs and on-prem servers, the option to save template virtual machine images in the Azure Shared Image Gallery or sending registration emails and connecting to Linux machines with Remote Desktop. Microsoft has touted its expanding threat detection capabilities in Azure Security Center, which is extending to cover VM scale sets. The program will automatically discover scale sets and advice that users install the monitoring agent for security assessments. Similarly, a new compliance dashboard for Security Centers makes assessments of the organization's compliance posture and issues reports, with options to use programmatic APIs for management. Azure Cognitive Services Anomaly Detector also became available to embed anomaly detection into apps, offering an AI model that draws in time series data from a single API call. Among geographic updates, Azure Log Analytics is coming to three new regions, including Korea Central, North Europe and France Central and entering preview in four US regions plus East Asia. 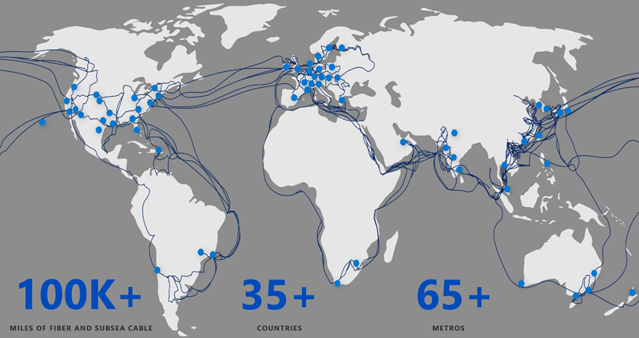 Azure Availability Zones entered general availability in UK South. Premium block blob storage will complement existing archive, hot and cool tiers with initial availability in most US, West and North Europe, Japan East and Southeast Asia regions. Customers around the world will take note of a drop in the cost of managing identities with Azure Active Directory B2C, although the price of authentications or the optional multi-factor authentications remains the same. The WKT geospatial format is now part of the Stream Analytics repertoire, aimed at data indexing for connected cars or large fleets. Along with the WKT format, the system can ingest coordinates and make more accurate geometric calculations. In Japan, the new Reiwa imperial era is set to begin on May 1 and out of respect for its Japanese customers, Microsoft has prepared updates for VMs and applications to align with the change. On the security front, Azure Firewall became available in the Government Cloud with network level and FQDN filtering rules and support even for hybrid VPN or ExpressRoute connections. Gilad Elyashar, principal group program manager for Azure Security Center delved into extending security capabilities in conjunction with the Hannover Messe 2019 conference. Along with other updates, Microsoft is rolling out the Dedicated Hardware Security Module Service in the UK, Australia and Canada and Advanced Threat Protection for Azure Storage. At the intersection of security and networking, Teresa Yao, principal program manager for Azure Networking, announced the public preview of Web Application Firewall for the Azure Front Door Service. WAF inspects incoming requests at the Azure network edge, blocking potential volumetric DoS or injection type attacks before they reach back end servers. The Front Door Service itself became generally available a year after its initial preview, supporting large workloads with API acceleration, HTTP load balancing and large scale SSL offload. Perhaps capitalizing on the visibility of Hannover Messe, the IoT Central team stated that new device templates are now available on the Device Templates page for Raspberry Pi, Windows 10 IoT Core and MXChip. The Australian Security Intelligence Organization published an expression of interest on six different technology packages, as it looks into Azure in combination with other cloud services to manage top secret data. In Seattle, Smart Energy Water is shifting its systems management platform to Azure to provide for its 200 utility customers worldwide and use both IoT and AI capabilities.